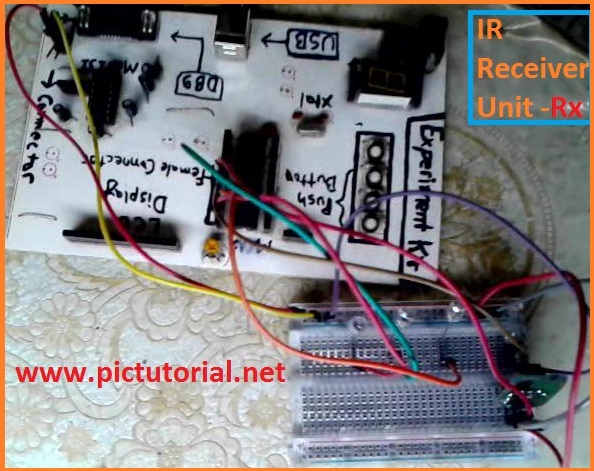 IR means Infrared light . 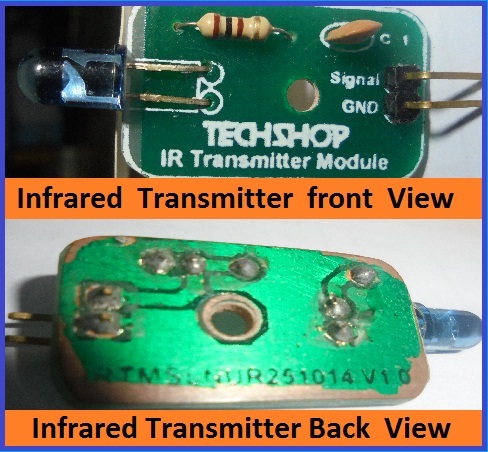 Generally Infrared light is invisible to us .We can find this in our TV remote controlling system. It's very popular and widely used in wireless technology and it's really cheap to buy . You can find more details in Google . In this tutorial I will try my best to make you understand . I will try to skip complexity . When we press any key of our TV remote , IR light signal comes out . You can't see through your eyes but you can see that if you look through the mobile camera screen. 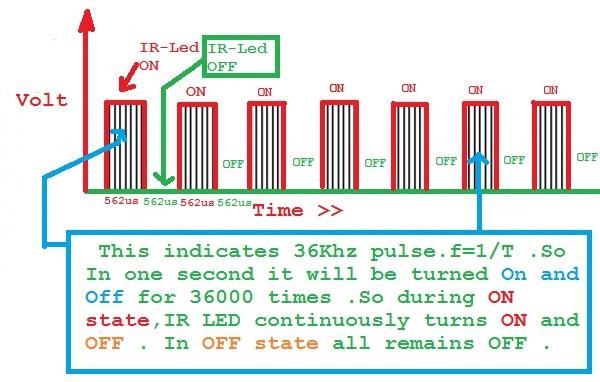 During creating signal the IR-Led turns ON and OFF randomly . 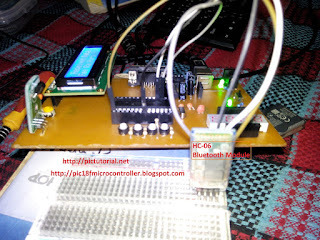 We will also try this for communication between two pic microcontrollers . 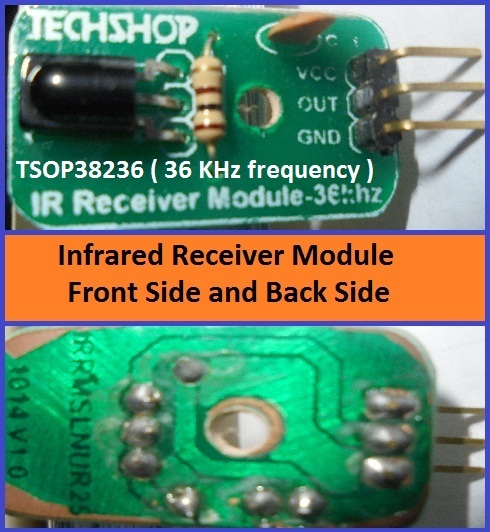 When IR-LED remains ON, it transmits 36KHz IR signal continuously. When IR-LED remains OFF there is no signal. What happens in IR communication ? We transmit a signal in a systematic procedure through Transmitter Unit and Receiver Unit receives that signal . The transmitting signal is a combination of pulses . Consider we would like to send 4 bit data(1011) through transmitter then we might set unique identification for each bit . and (562 us ON & 562 us OFF ) for Logical 0. By measuring the time duration of each pulse, we can identify each bit in receiver unit. 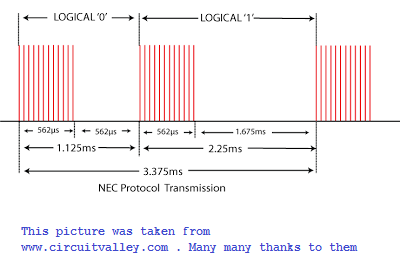 If we want to get the receiver to receive the signal, then we have to follow the systematic procedure. That means , if we want to send 1011, first we need to send a start signal. After sending all data we need to send an ending signal. Actually we need to send start signal to get MCU ready to fetch data accurately. 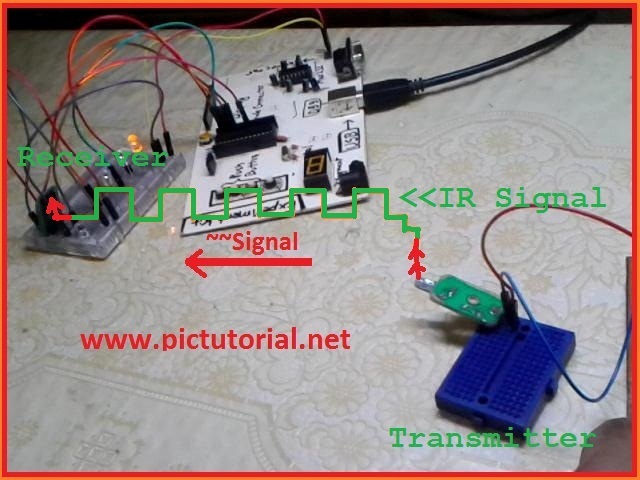 In this tutorial, we will use 4 bit data signal and we will use only data type .Our signal will be like this . When IR-Led turns OFF or no signal comes to IR-Receiver, IR-Receiver provides 5v or high output to microcontroller's external interrupt pin .When IR-Transmitter turns ON, IR-Receiver provides 0v or low. 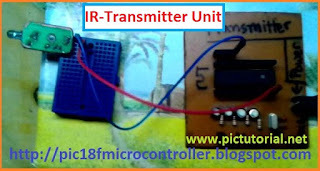 Transmitter unit sends Start Signal 9 ms ON and 4.5 ms OFF consequently IR-Receiver provides 9 ms OFF(0v) and 4.5 ms ON(5v) . After finishing this stage when first bit is sent, transmitter sends out pulse 562us ON and 562us OFF and consequently IR-Receiver provides 562us ON(5v) and 562us OFF(0v) . That will make external interrupts on microcontroller and timer0 will start to count duration of time so that each bit can be uniquely identified .In this way all bit's comes to the receiver unit . 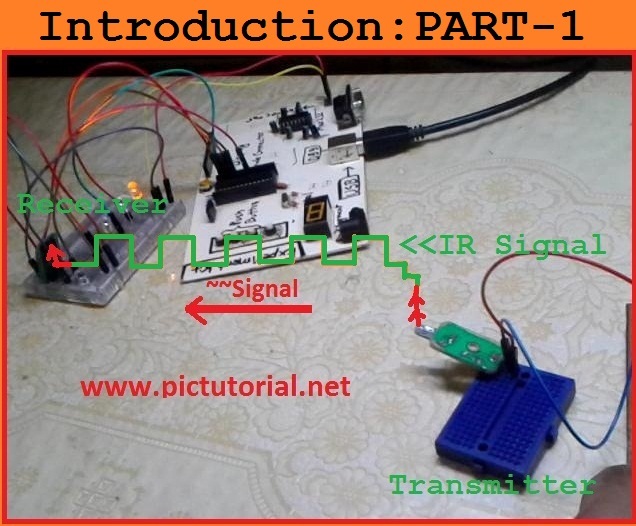 Finally we need to get our microcontroller understand about ending of signal and we send last signal pulse . So First we need Interrupt to ditect signal . 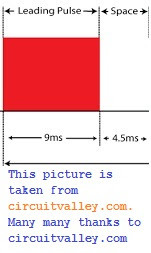 Secondly , we need timer to measure time duration of signal so that we can identify each bit from signal (0 or 1). We also need PWM (Pulse width Modulation).